Photography and travel are two of my favourite past times and it's no surprise that my wife I and travel as much as we can. And naturally, when we travel I always pack my digital camera to capture our surroundings as we go. 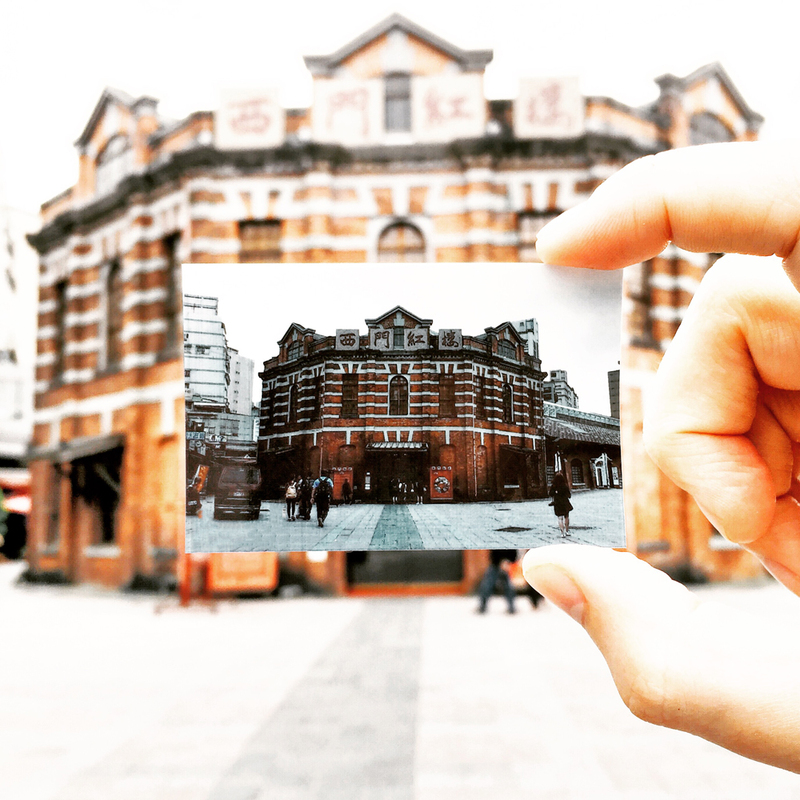 But on a recent trip to Taiwan, I decided to mix things up a little and take with me a Polaroid Snap instant digital camera to test out the world of instant travel photography. Being new to the world of instant photography, it was a refreshing experience to be able to hold images in my hand, moments after taking them. In any case, let me take you on a whistle stop adventure to Asia and back home to the UK—showcasing some of the memories we captured. 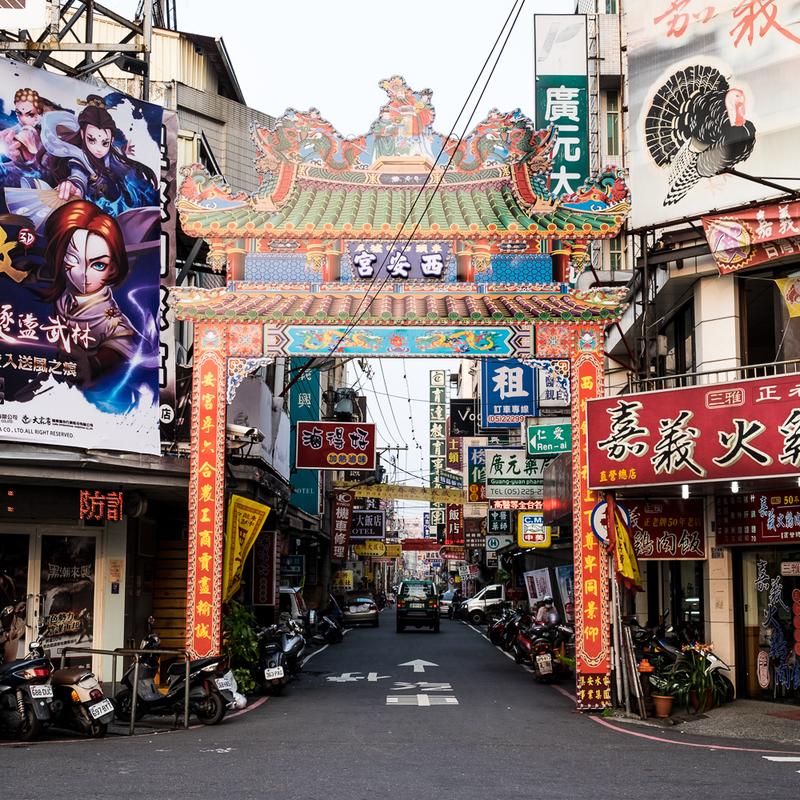 Our Taiwan trip started when we touched down in the city of Taichung in the north eastern part of the country. From the airport we headed straight to the station and caught the train to the city of Chiayi to the south of Taichung. 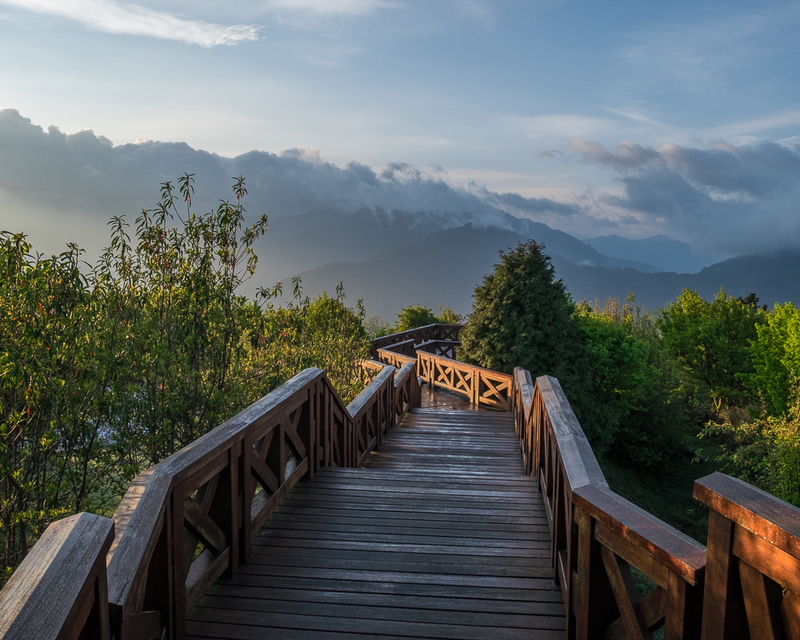 Chiayi is often considered the gateway to the Alishan mountains because it's the nearest city to the mountain region. 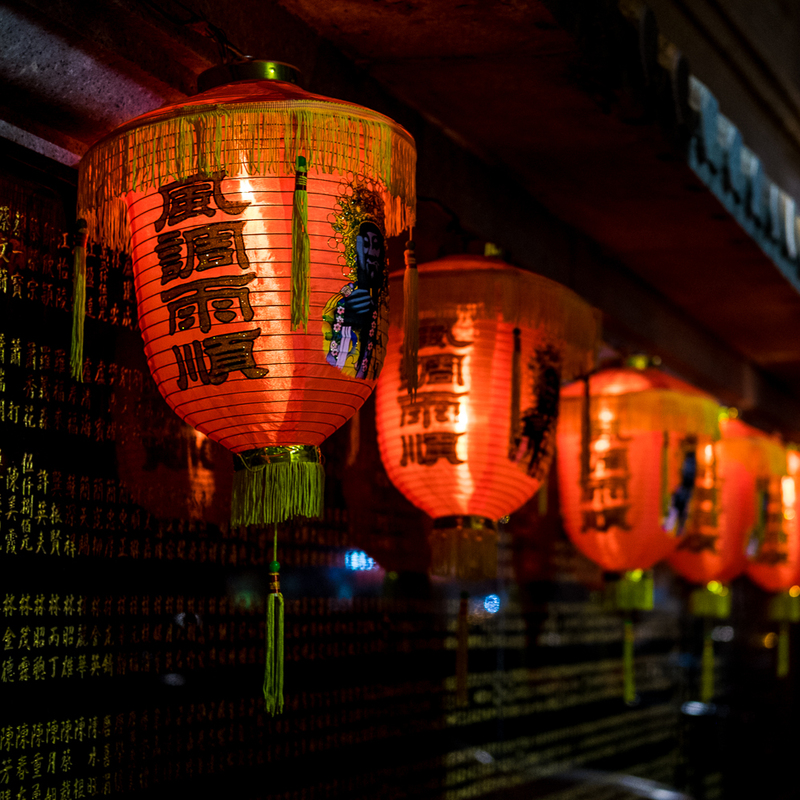 It's a vibrant city with some really laid back hostels, some beautifully intricate lanterns and some colourful street gates. We spent the evening soaking up the atmosphere in Chiayi and in the morning we took a bus into the Alishan mountains. The roads were pretty windy but the scenery was amazing. We stayed the night in a lovely homestay perched high up in the mountains and from there we took a stroll through the mysterious nearby tea plantations. The plantations were smothered with low laying clouds which made it all the more special. 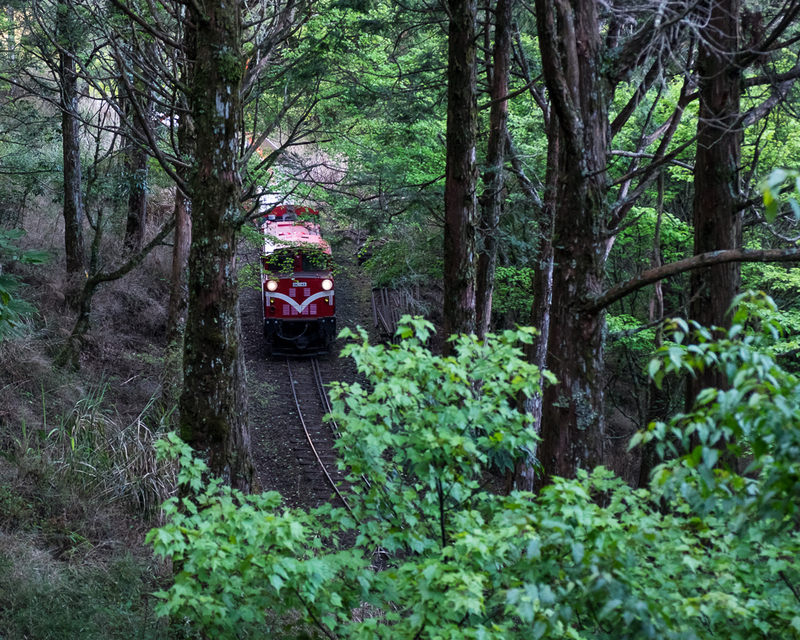 The following morning, we got up very early and caught the famous red mountain train that makes its way along the windy forest tracks to the top of one of the mountains for sunrise. 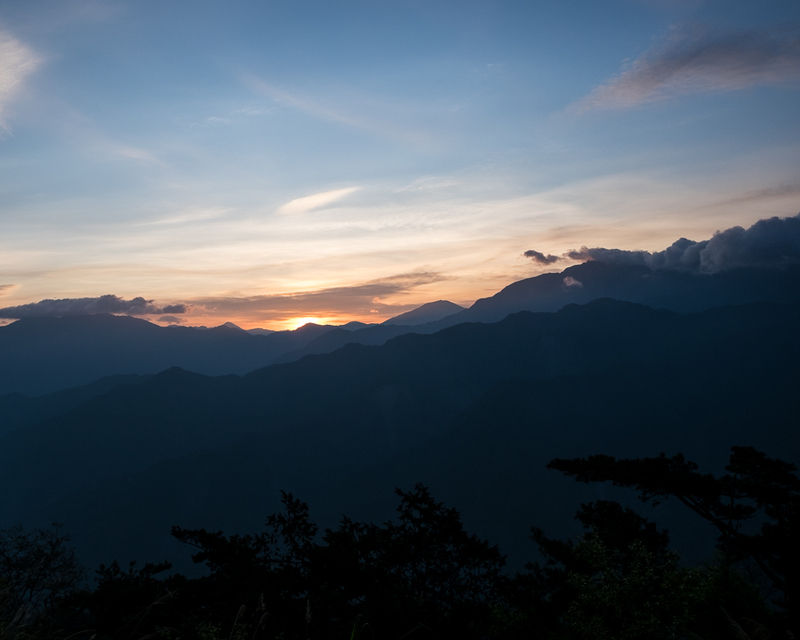 At the top, we join hundreds of eager travelers to watch the sun rise over the surrounding mountains. The experience was incredible. 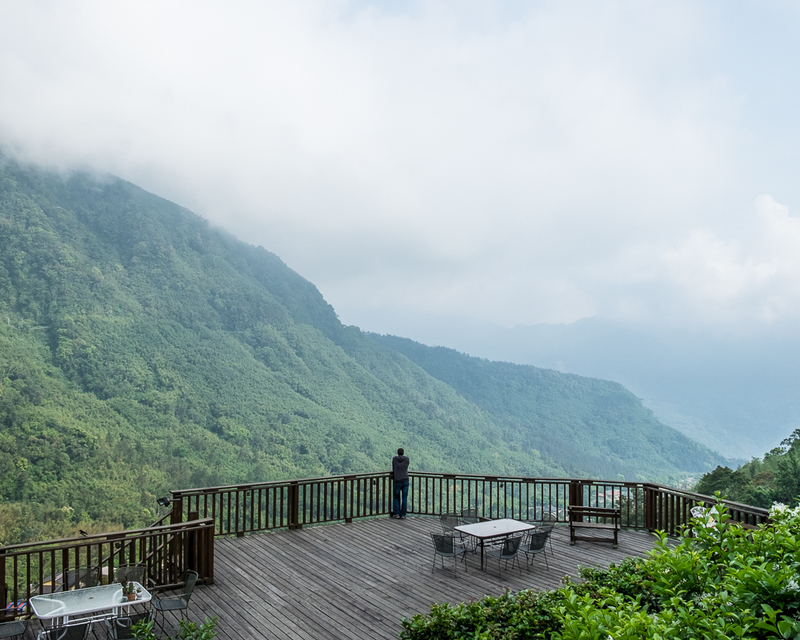 We explored the Alishan National Park for hours and we were overwhelmed by its beauty. The trees and lakes were a joy to see… but those mountain vistas definitely stole the show. 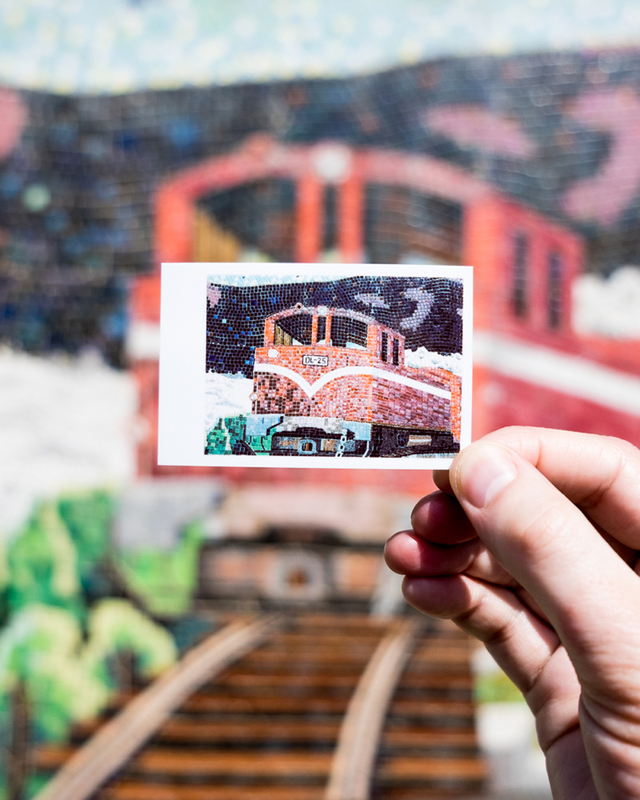 As we exited the park I spotted a huge tiled mosaic of the red mountain train. 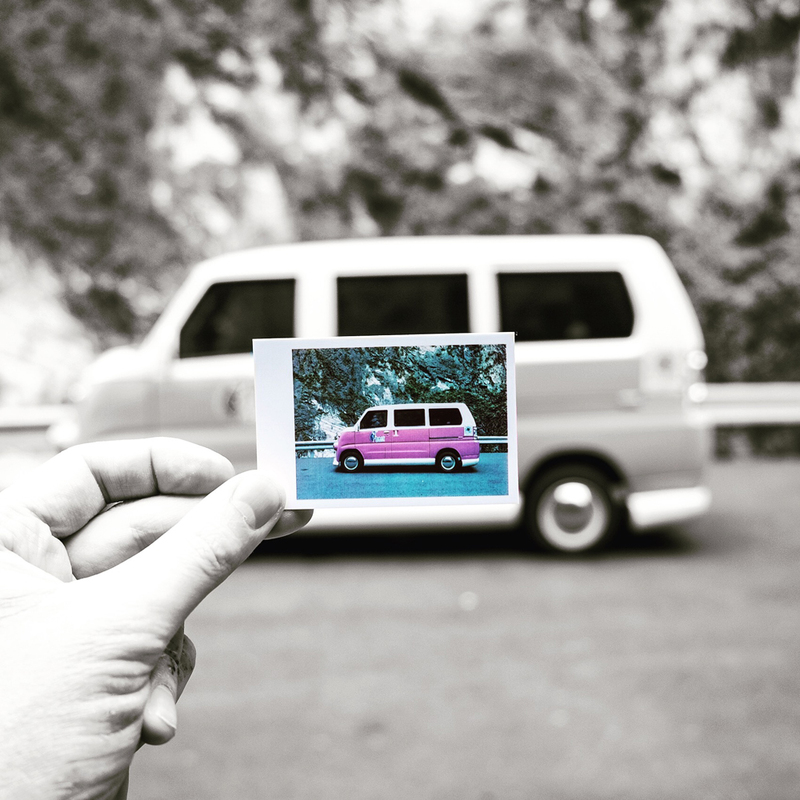 The vivid colours caught my eye and I gave the Polaroid Snap a go. And to share the moment with my Instagram followers I grabbed a ‘Picture-in-Picture’ shot… the first of many. 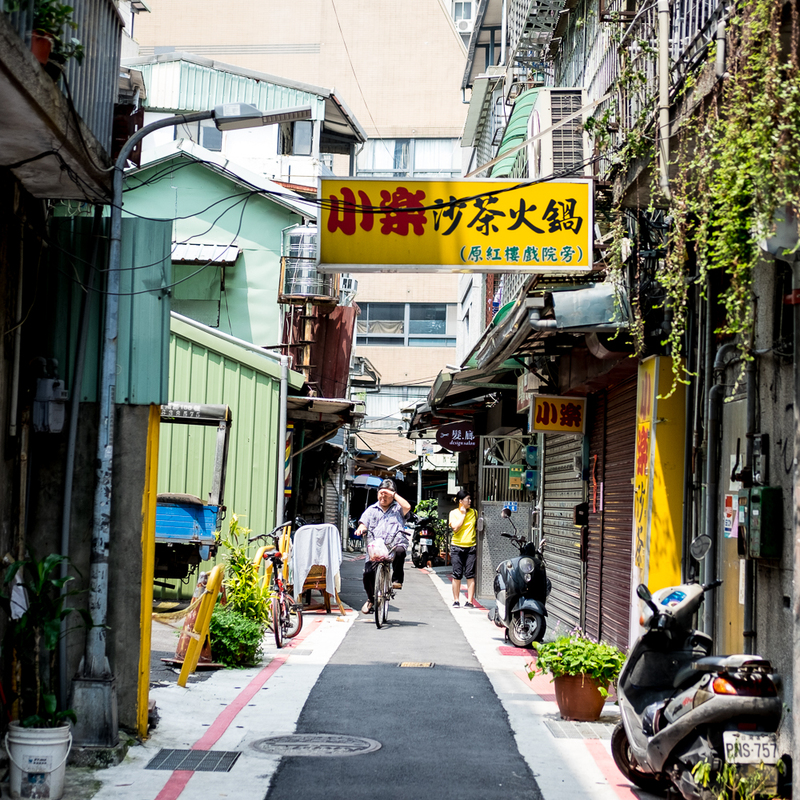 The next stop on our Taiwanese adventure was the coastal city of Kaohsiung on the south eastern tip of Taiwan. 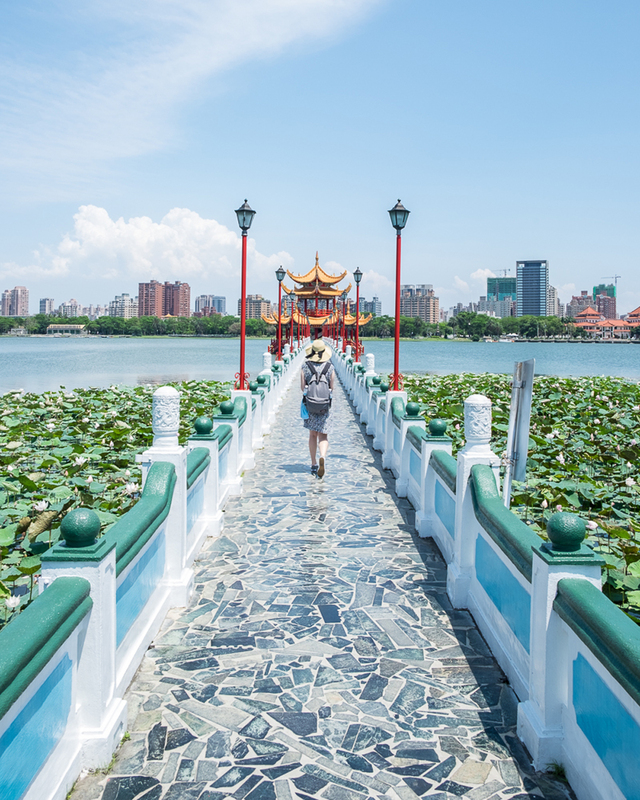 Its history is largely linked to shipping and industrial production, but in recent years it has undergone a transformation and is now riddled with lovely restaurants, cafes and a charming lake—called the Lotus Pond. 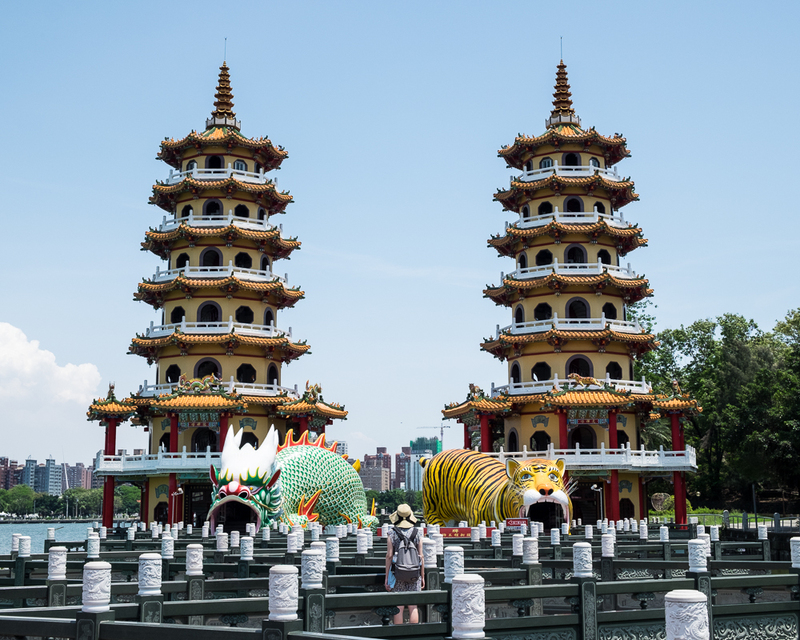 The Lotus Pond is home to a number of brightly colourful temples and pagodas. We got to explore these in the glorious sunshine—not a bad way to spend the afternoon. 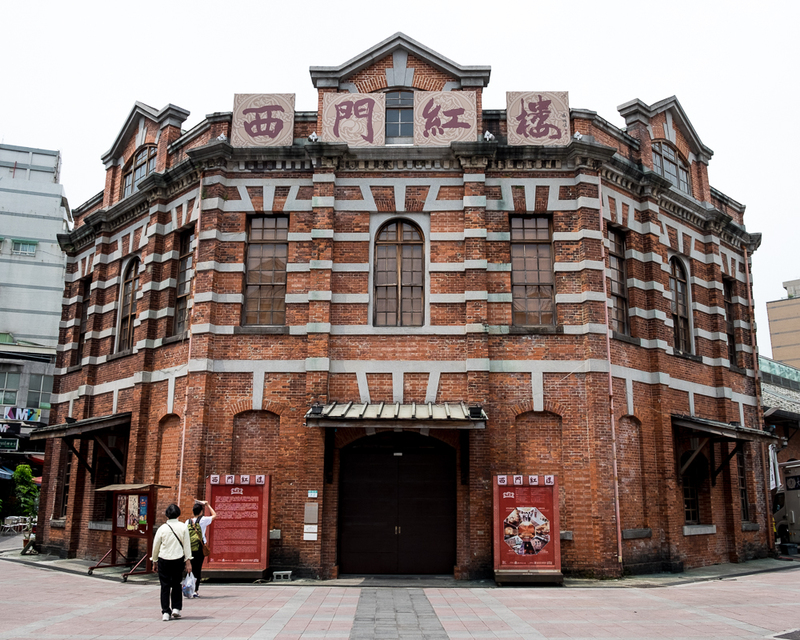 Our favourite spot in Kaohsiung was the Pier-2 art centre. 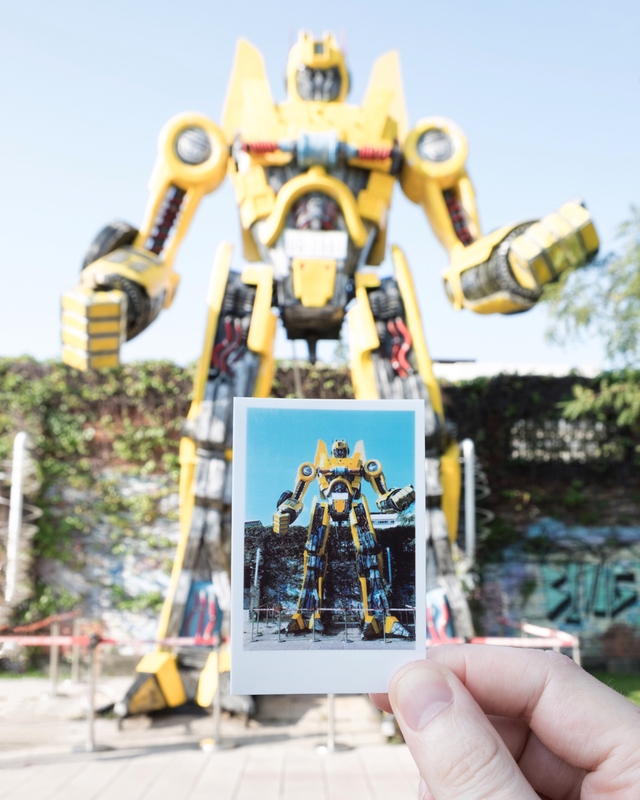 It’s home to a series of outdoor art installations… they even had a giant robot. A perfect opportunity for another Picture-in-Picture snap. 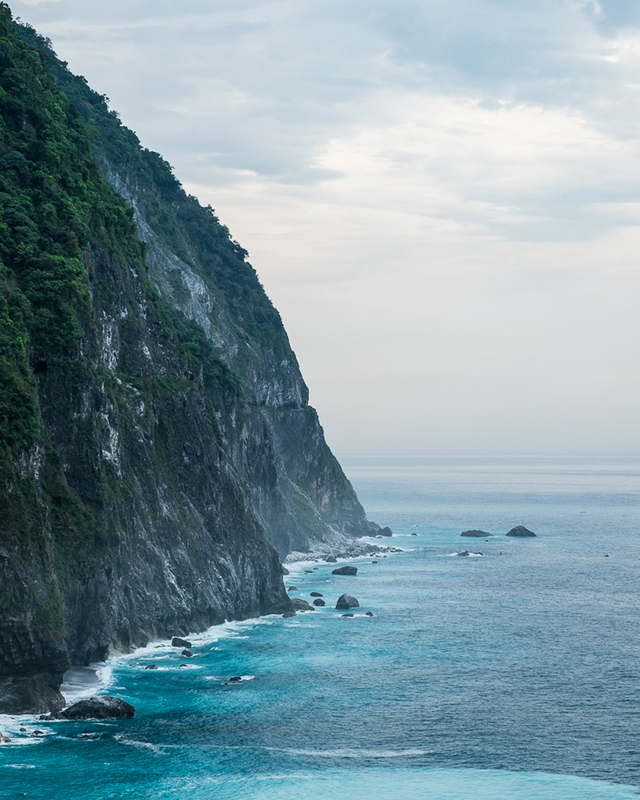 From Kaohsiung, we took the very scenic train across the south of Taiwan and up the east side towards the town of Hualien. The trip took a few hours but the views were stunning. Mountains on our left hand side and beautiful waters on the right. 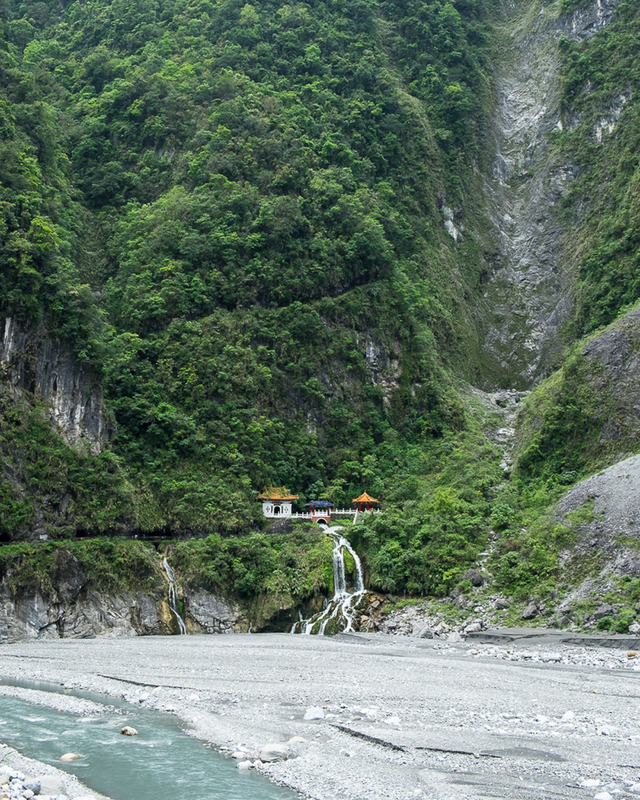 Before we knew it, we reached Hualien—a town that is famed for its impressive nearby gorge. We took a day trip into the gorge and it began with a brief visit to the epic sea cliffs where the gorge meets the water. The crashing water was a beautiful turquoise blue colour and it was particularly popular with Chinese tourists and photographers—for good reason. 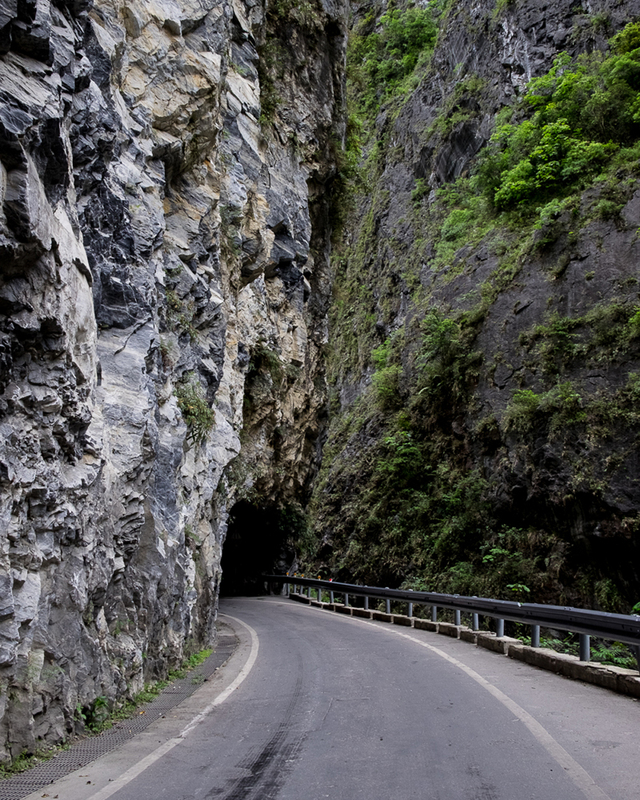 From there we followed the windy roads up through numerous tunnels and round countless bends, stopping here and there to admire the rock faces and perched temples. The last stop on our Taiwanese trip included a few days in the capital city, Taipei… a place I’ve wanted to visit for a long time. The city is huge and full of life, typical for an Asian city of its size. It’s home to some incredible restaurants and my wife and I dined on Dim Sum for four days straight. Whilst the city has a number of famous tourist sights, like the world renowned Taipei 101 building, my favourite part of our stay was simply wandering the streets—taking in the atmosphere and walking the roads that are nothing like the streets back home in the UK. Thanks for joining me on my Taiwan Picture-in-Picture journey. Stay tuned for the second part of my trip—home to the UK.